Klub Afrikan "Colin". 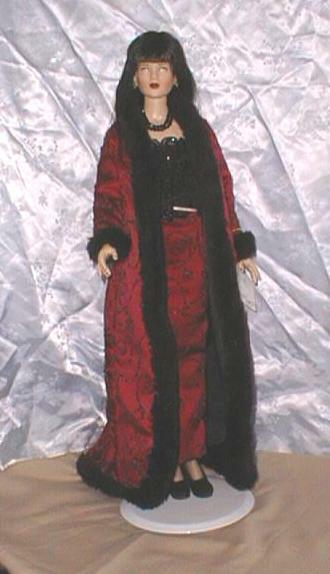 19" fully jointed fashion doll by CED Dolls. 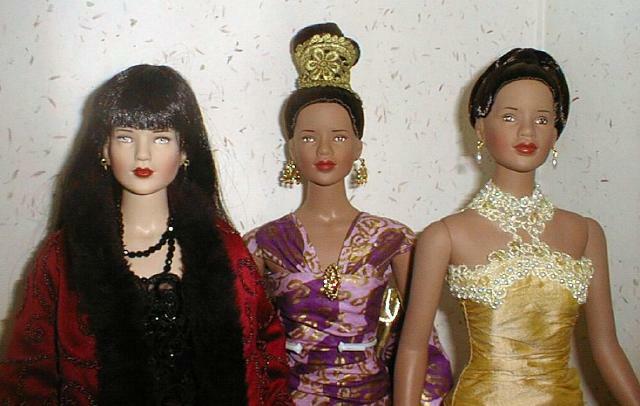 Barbie's aren't the only fashion dolls in town anymore. They've been joined by incredible lines from other companies and artists. You like clothes - you'll love these type of dolls. Some are quite spendy, but when you see them up close, you'll appreciate the artistry. Violet Waters by Ashton Drake. 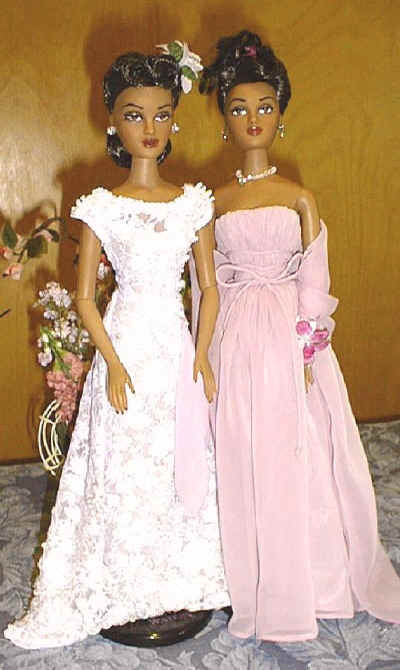 These dolls were the first 2 dolls of color in the "Gene" fashion doll series, and were introduced in 2001. They are truly beautiful, elegant, and well designed. They are 15 1/2" tall, and are vinyl. Gene is a 15 1/2" vinyl doll. 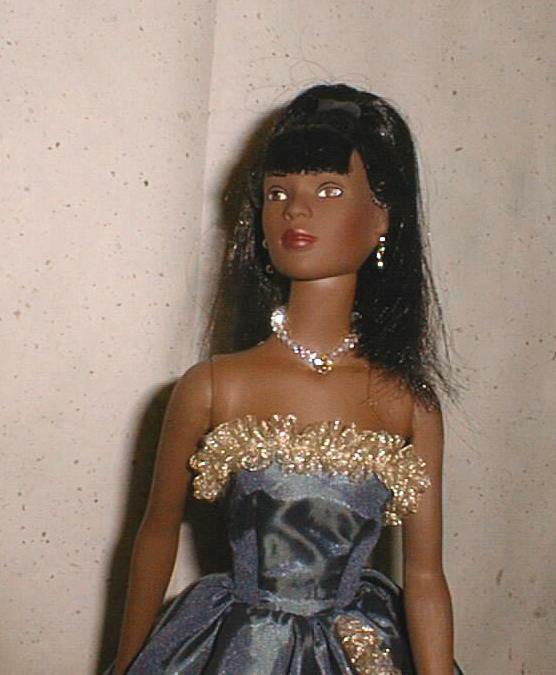 I have quite a few Genes, but this is the first one I repainted to be a black doll. She would be known in the hobby as a "repaint". I have one repaint, Geneva, (shown below) by another artist, Randy Wilson. They were both done before Violet Waters was introduced as the first black Gene doll issued by Ashton-Drake. 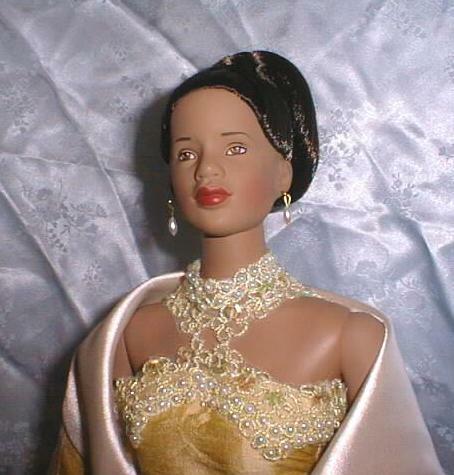 Many artists are still doing wonderful and stunning "repaints" of fashion dolls. Geneva Geneva DuBois - Original vinyl Gene repaint by artist Randy Wilson. 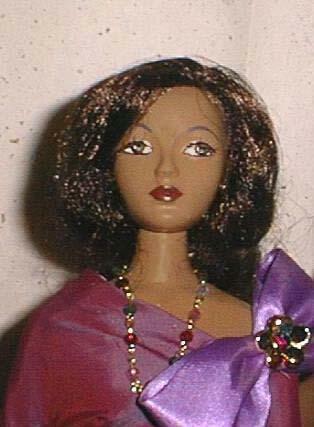 This doll was purchased on eBay from the first buyer, and needs a little touchup work - but I think she's gorgeous! Esme is a beautiful 16" vinyl doll from the Tyler Wentworth line by Robert Tonner. 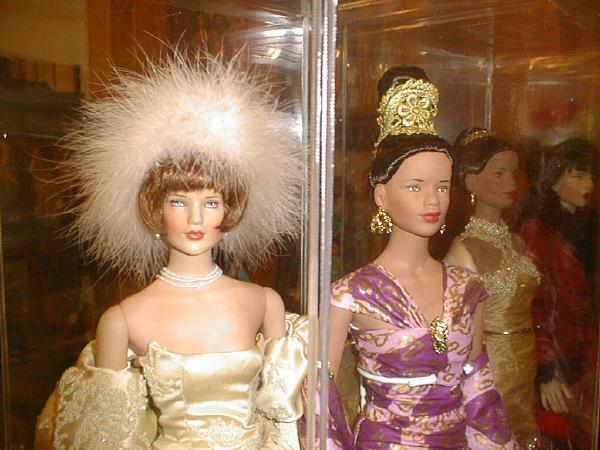 Both of these dolls have a line of incredibly beautiful outfits you can buy. They are spendy -Tyler's more so than Gene's - but they are very high quality clothes and fun to own. 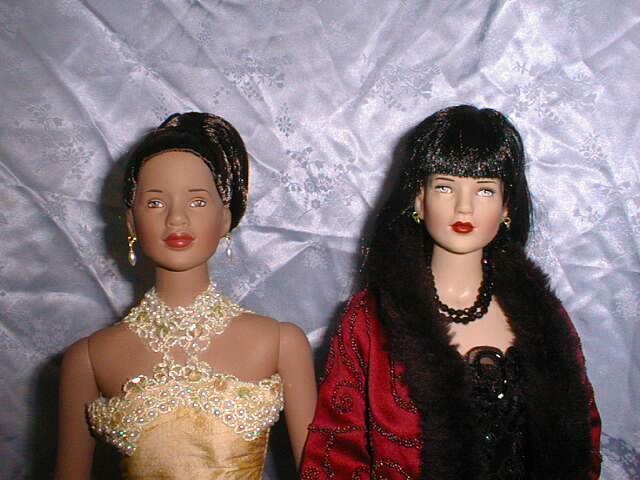 Jasmine (in gold) and Natasha (in red) are 19" American Model Collection dolls by Robert Tonner. 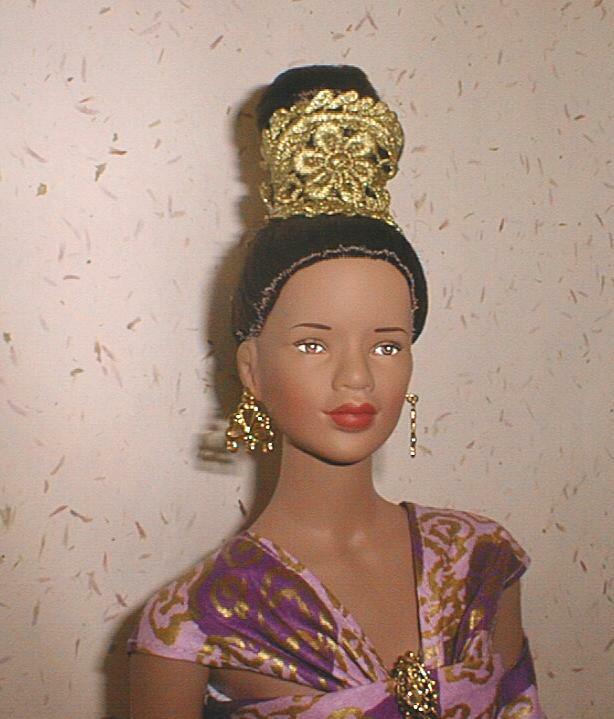 The current popular doll of this type by Mr. Tonner, however, is the 16" Tyler Wentworth line, which includes Esme - the beautiful African-American doll shown above.